Currently browsing articles with a topic of "fish scales". Number five: Aquaculture Accounts for Over FIFTY Percent of Stripers Sold – In fact, it’s closer to sixty percent. Hybrid striped bass production is one of the fastest growing forms of aquaculture in the United States. Annual production has increased over two-hundred percent in recent years as scientists refine efficient and highly productive ways to raise stripers. Commercial fishing for wild striped bass has a long history in Maryland, but don’t let anyone fool you into thinking you couldn’t eat stripers if they weren’t caught in the Chesapeake Bay. In fact, you’ll eat better if you eat farm-raised fish. Those of us who catch and eat fish right off the boat are used to great-tasting fish, but hybrid stripers have a slightly sweeter flavor and a more delicate texture than wild-caught fish. They don’t contain the high levels of mercury and PCBs found in Chesapeake Bay rockfish, so it’s safer to feed them to your family. Striped bass aquaculture is a sustainable method for providing healthy , high-quality fish to restaurants, grocery stores, and seafood markets. 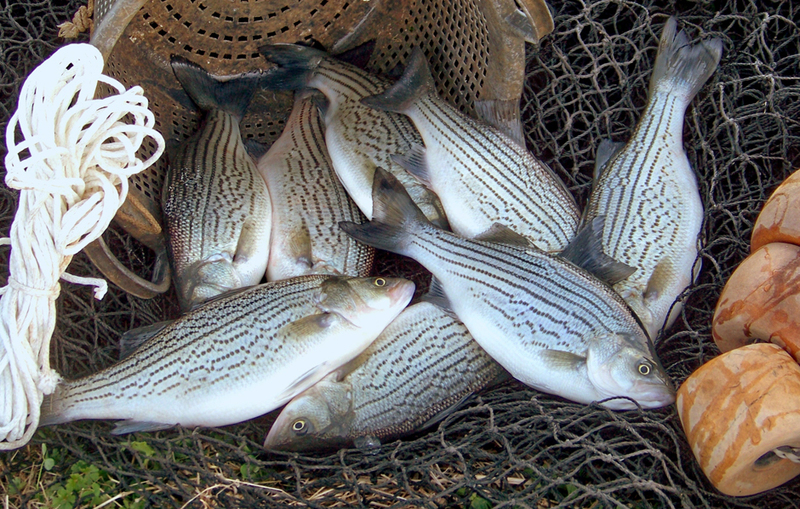 In stark contrast, a recent effort by the Department of Natural Resources to get wild-caught striped bass deemed sustainable in Maryland, failed. Read More!